It’s a little embarrassing to admit but…I knew barely a word of Spanish last year when I arrived in my new home in Spain. I had plenty of time to prepare for the impending relocation but I’d busied myself working full-time and, like lots of other native English speakers, the few Spanish classes I did take just didn’t seem to stick. My lack of language was worrying, considering I moved here to work as a freelance journalist, so communication would be critical to my success. The good news is, I can report from experience that it is possible to go from zero to hero in 12 months—and even less. And the more language you pick up, the more the momentum builds, and your motivation to continue learning fires up. Speaking the local language has opened Spain up to me in a way that wouldn’t have been possible in English. Firstly, there’s the little things that have become infinitely easier: asking for directions, understanding menus, and ordering meals without fear of accidentally asking for something strange and borderline inedible. Then there’s the opportunity to chat with locals and pick their brains to find the country’s hidden little gems, tucked away from the hoards of tourists traveling by guidebook. 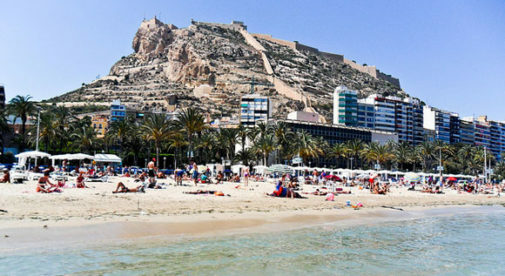 It’s via recommendation that I happened upon two of my favorite cafés in my home city of Alicante. Likewise, when my parents came to visit for a few weeks last summer, we followed a local’s suggestion and headed up north to a tiny beach secreted away from the crowds. It couldn’t have been more relaxing. One of my favorite traveling secrets, made possible if you know a little Spanish, is to pick over the local version of websites like Yelp and TripAdvisor for recommendations that may not appear on the English sites. Likewise, Spanish blogs are a great way to learn more about the culture and places to go, all while practicing your language skills. But best of all, with a little Spanish prowess you have the chance to make friends with local people and forge meaningful relationships, which really starts to make a foreign country feel like home. You begin to immerse yourself in the culture, rather than just observing it from the outside. For example, paella is an internationally recognized Spanish rice dish that many tourists rush to taste as soon as they land. But for Spaniards, paella is a special Sunday lunch to be shared at home with family and friends. No restaurant can compare to a true paella experience, which is as much about family and friendship as food. There’s something truly memorable about a paella Sunday, laughing and chattering loudly in Spanish as everyone pitches in to chop fresh vegetables and prepare the open wood fire before settling down at the family table to gobble down the delectable spoils from an enormous flat paella pan. These wonderful moments make learning the language entirely worthwhile. Pretty soon, you realize there’s a lot more fun to be had in Spanish—mistakes and all.